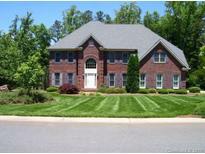 Below you can view all the homes for sale in the Country Club Hills subdivision located in Salisbury North Carolina. Listings in Country Club Hills are updated daily from data we receive from the Charlotte multiple listing service. To learn more about any of these homes or to receive custom notifications when a new property is listed for sale in Country Club Hills, give us a call at 704-419-8236. Call us today to make this your new home! MLS#3492894. Wallace Realty. This beautiful custom home will delight any buyer! MLS#3490707. Keller Williams Mooresville. The Country Club is nearby! Schedule your showing today! MLS#3486904. Genesis Realty Company. Enjoy Salisbury's 4 seasons on the comfortable back deck & large yard. Welcome home! MLS#3469428. Mark Spain Real Estate.